Checking in at the Beijing Airport. Air Koryo is North Korea's airline, and they have their own desk space in Beijing. Checkin went smoothly, just like any other airline. Here you can see me with my Osprey Exos 48 backpack, and Air Koryo boarding card. Checking in at the Beijing Airport. Air Koryo is North Korea’s airline, and they have their own desk space in Beijing. Checkin went smoothly, just like any other airline. 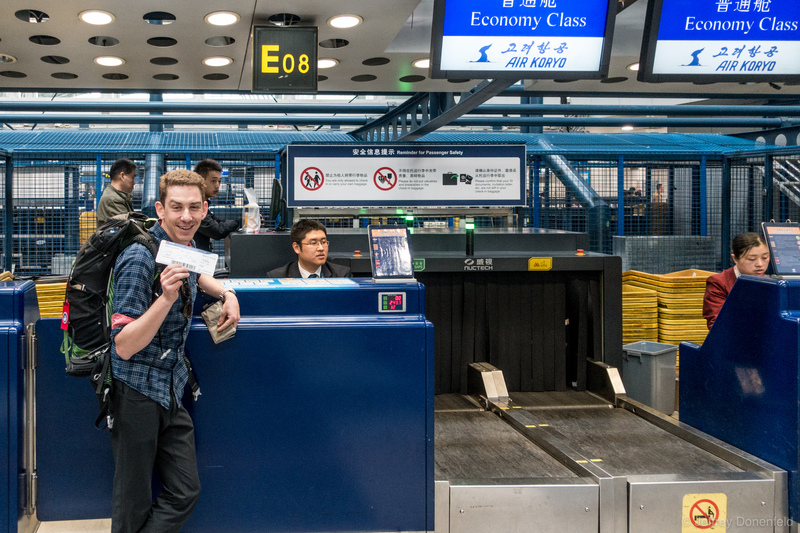 Here you can see me with my Osprey Exos 48 backpack, and Air Koryo boarding card.